This includes the Rose Day Cream Light. The harmonising face cream softly envelopes the skin and imparts all the beneficial properties of rose. Contained within this smooth and light protective cream are rose water, rose petal and rose hip extract as well as natural Damask rose essential oil. 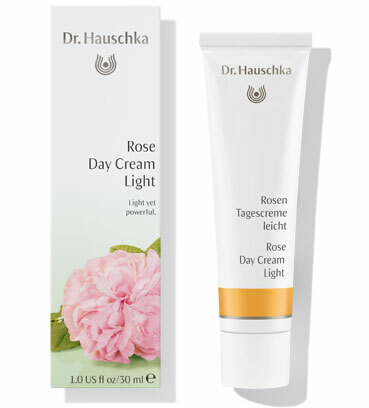 Dr. Hauschka also places great importance on sourcing its roses. To obtain our precious organic essential rose oil, for example, we work with partners all over the world – including in Ethiopia and Afghanistan. Dr. Hauschka has been supporting and advising a World Hunger Aid project in Afghanistan for several years. The cultivation of organic roses provides locals with an alternative to growing opium poppies, which are used to produce opiates such as heroin. Projects like these help people to secure their livelihoods and improve their financial and social situations. They also promote organic farming methods. Click here to discover more about the origins, cultivation and preparation of our roses.